As reported few weeks back, Harley-Davidson officially announced the arrival of its new powerplant christened - Milwaukee-Eight. The new V-Twin motor is an important step for Harley-Davidson as it’s the ninth “Big Twin” engine in its portfolio. The Harley-Davidson Milwaukee-Eight engine has been tuned to offer better throttle response and smother power delivery while maintaining the iconic exhaust note. The new Harley-Davidson Milwaukee-Eight engine will power all the 2017 Harley-Davidson Touring and will be offered in two variants. 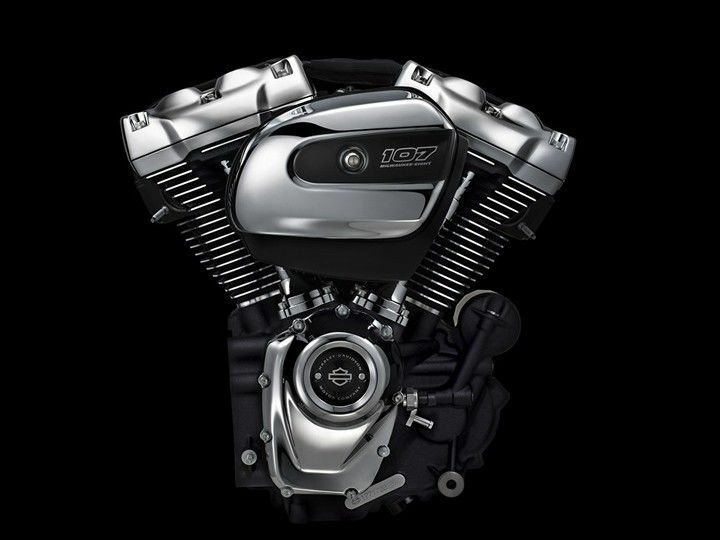 The Milwaukee-Eight 107 has a displacement of 1,745cc and is equipped with oil-cooled cylinder heads for the Street Glide Special, Road Glide Special and Road King. The Twin-Cooled Milwaukee-Eight 114 motor displaces 1,870cc and features liquid-cooled cylinder heads and it will power the flagship Harley-Davidsons CVO Limited. According to the American bikemaker the new Milwaukee-Eight motor has almost 10 per cent more torque output than the engine its replaces in the touring range. Other additions includes higher compression ratio and four-valve cylinder heads with 50 percent more intake and exhaust flow capacity. Also it gets the benefit of dual spark plugs for each cylinder to improve combustion efficiency. All the above improvements have also resulted in acceleration figures improving by around 11 to 12 per cent. Heat dissipation has also been improved on the Harley-Davidson Milwaukee-Eight motor with increased heat rejection and a redesigned exhaust system. The new powerplant also has better NVH with rubber mounts and a single internal counter balancer that cancels 75 percent of primary vibration at idle for a more-refined feel.